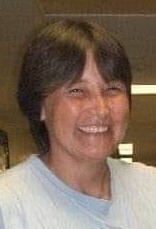 Sherry Lynn Ostlund, age 49, “Asiniikwe” which means “Rock Woman” of the Bear Clan and Bemidji, Minnesota began her journey to the spirit world on Tuesday, April 9, 2019 from St. Luke’s Medical Center in Duluth, MN. She was born on December 22, 1969 in Grand Forks, ND to Roger and Frances (Rushman) Smith. Sherry lived in numerous places in northern Minnesota. She had many different jobs, with Anderson Fabrics being her most recent and favorite, where she made a lot of life long friends. Anyone that knew her knew she was very stubborn but also very outgoing and crazy. She loved attending social events with friends and family and was the life of the party. She was very proud of her grandkids and helped raise them. Sherry always put everyone’s needs before her own. She will be greatly missed by her daughters, grandkids, family and friends. Those she leaves behind to cherish her memory are her father; Roger Smith of Big Falls, daughters; Shanise (Chris Sr.) Ostlund and Shalyssa (Todd) Anderson both of Bemidji, brothers; Michael (Renee) Ostlund, Sr., Thomas Ravensborg and Virgil Ravensborg all of Redby, Gordon Smith of Bemidji and Mark Smith of Big Falls, ShayLynn “Judy”, Kaydence “Devil Child”, Carter “Big Man”, Christifer Jr. “Wahh Boy”, Carson “Smiley” and Robbie, Jr. “Monkey Boy”, numerous nieces, nephews and other relatives.